Lights built into the devices flicker with different colors, depending on the wearer’s varying concentration levels. The color-coding system, in turn, would alert the teacher to the student’s attentiveness in the classroom. Neuroscientists and psychologists have cast doubt on the effectiveness of the technology. Variables such as the natural variation in neurological activity among humans can lead to misleading assumptions about how an individual is functioning, and what he or she needs, Sandra Loo, professor of psychiatry at the University of California, Los Angeles, told EdSurge, an education news website, in an October 2017 story about BrainCo’s technology. Back in 2016 at the Consumer Electronics Show held in Las Vegas, when BrainCo gave its first public demonstration of the Focus 1 headbands, the devices fell short of expectations. They picked up brain waves despite not being worn at the time, calling into question its overall function. But even if the technology provides accurate readings, it raises concerns dealing with legal questions around data protection and privacy. Furthermore, the use of such technology challenges the ethical boundaries of the extent to which schools should go to “train” children. The China trial results have not been published in an academic journal. Student monitoring has become pervasive with the Chinese regime backing and encouraging the development of high-tech surveillance equipment. 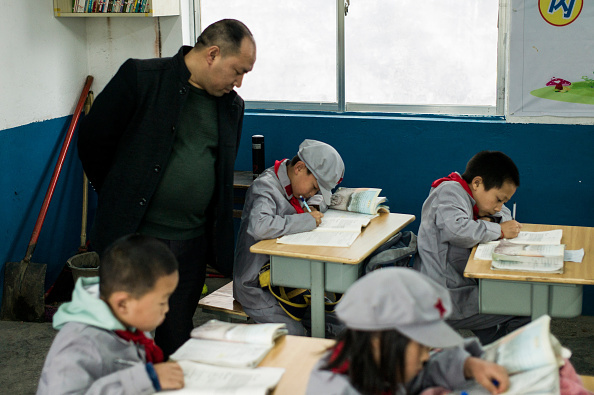 In December 2018, Chinese netizens grew concerned after news emerged that over 10 schools in Guizhou Province would be required to wear “intelligent uniforms” embedded with electronic chips that track their movements. The chips can track the exact location of every student and can activate an alarm when the sensor detects that a student has fallen asleep in class. The news drew concern that students’ privacy was being violated. In May 2018, a high school in Hangzhou City employed cameras with facial-recognition technology to track students’ attentiveness in class. These cameras would scan students’ faces every 30 seconds to analyze their facial expressions and detect their mood. Each student was then assigned a score based on how well he or she appeared to be paying attention in class.